What's the place called again? Come Along? What??? Come again? 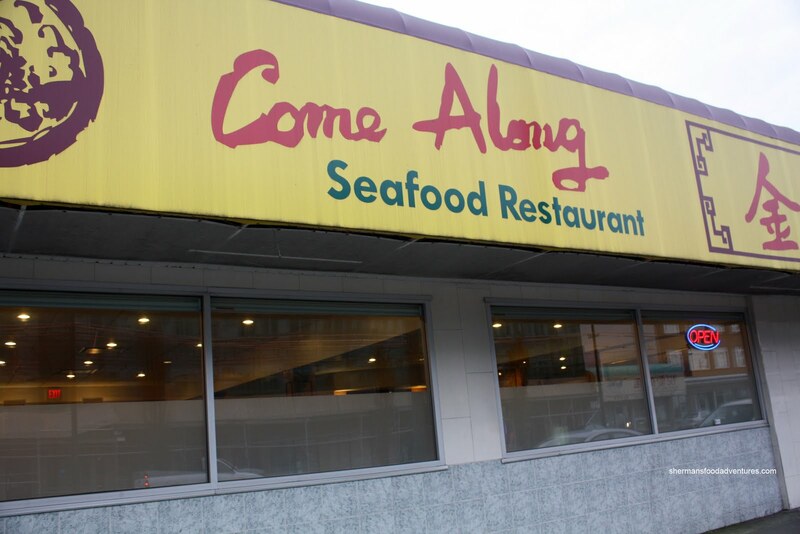 That was my initial reaction when Costanza told me about this Chinese restaurant near his house. That was over a year ago and at first, I merely dismissed it. Believe me, I've actually been wanting to write a post on this place for along time. C'mon, check out the name! Easily misinterpreted and even more easily ridiculed, this was crying out for me to write about it. I guess by virtue of waiting for a whole year, I have certainly "come a-long". So seriously, Costanza suggested we do Dim Sum and since he really didn't want to travel far, we settled on Come Along. We were slightly delayed in arriving on time; but it appeared that Costanza came first... er... arrived first. We planned to meet up at 10:00am in order to avoid the crowds. With 2 sets of kids in tow, it was a good plan! I guess that is the price we have to pay for coming along... several years ago. We ended up with a table in the corner which suited us fine. Kids could make as much noise as they wanted and no one would notice. Heck, it's Dim Sum. Everyone is loud. Come Along! 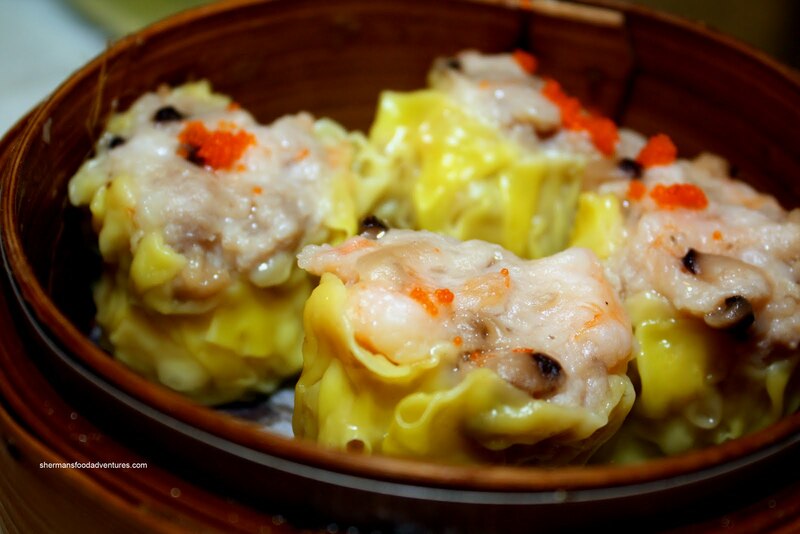 As with many Dim Sum establishments these days, ordering is as easy as ticking off a checklist. Sure, the era of push-carts is coming to an end; but I really don't mind. This way, I don't have to wait for the beef balls to "come along" at the very end. I can have my beef balls right at the start! And hot beef balls at that! Sadly, we didn't order the beef balls. So we ended up to be ball-less, which would mean "come-up short" instead. Anyways, we started with the classic in the Haw Gow (Shrimp Dumplings). Simply, these were good. Packed with plenty whole crunchy shrimp and well-balanced in flavour, it's too bad we only ordered one steamer of these. We had to sacrifice some of it for the kids. The dumpling wrapper was on the chewier side; but that's a lot better than mushy. 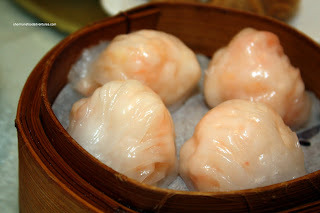 The Sui Mai (Pork & Shrimp Dumpling) exhibited the desired texture of being slightly chewy while still tender to chew. The right amount of shrimp and shiitake mushroom added nice flavour. I'm not sure if there was too much MSG or not; but I was quite thirsty afterwards. Something that is becoming increasingly common is the Fried Daikon Cake. 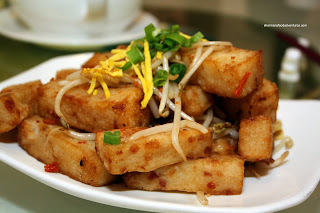 Normally, it is pan-fried in squares. In this version, they are cut into s trips and deep-fried. Sometimes they are in cubes at other places. With this preparation, the cake is uniformly crispy on the outside and generally soft on the inside (dependent on the quality of the cake). This one was pretty good and didn't seem too oily. Once again, it had good flavour with the daikon and Chinese sausage. But it was a tad salty... Come again? 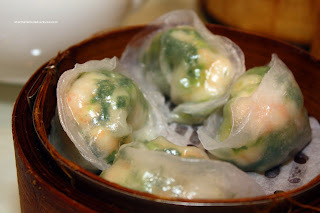 Next, we had the Pea Shoots & Shrimp Dumplings. Looking at the picture, it is obvious that the dumpling skin was thin, which is a good thing. Only slightly chewy and full of crunchy whole shrimp with pea shoots, this was yet another solid dish. 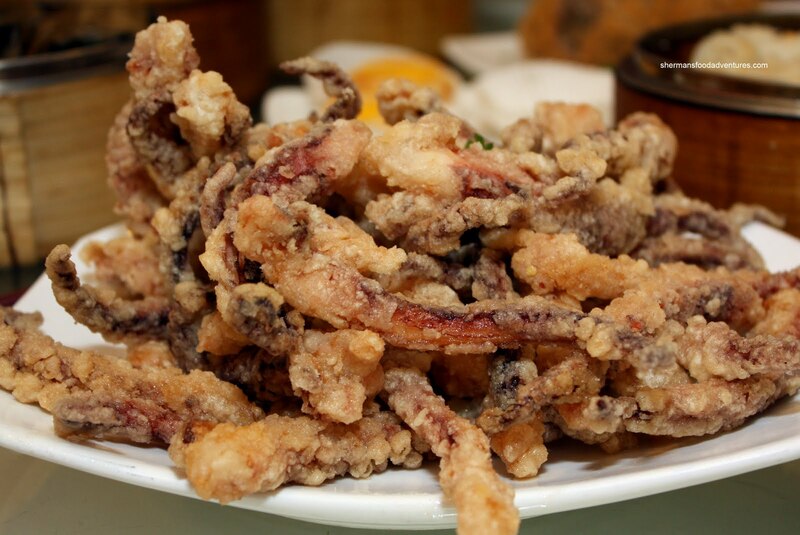 When the Fried Squid arrived, we were impressed at the size of the dish. It was absolutely overflowing with perfectly fried tentacles. Curiously, it was all tentacles. No real issue with me since I like them; yet I can see how someone might be turned off. In addition to being tender with some snap, the tentacles were well seasoned from the salty batter. Once again, despite being a fried item, it did not seem oily at all. Now for the requisite Shrimp Rice Noodle Roll. As always, this is one of the dishes a Dim Sum service is judged upon. This one passed with flying colours. The rice noodle itself was soft, not mushy and super thin. This is exactly how I like it. 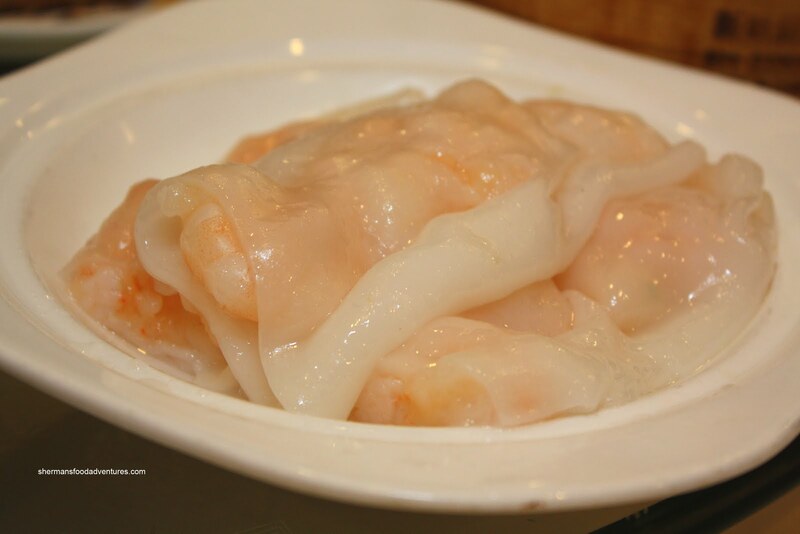 Furthermore, the large shrimp within the soft sheets of noodle were perfectly cooked and had a crunch. 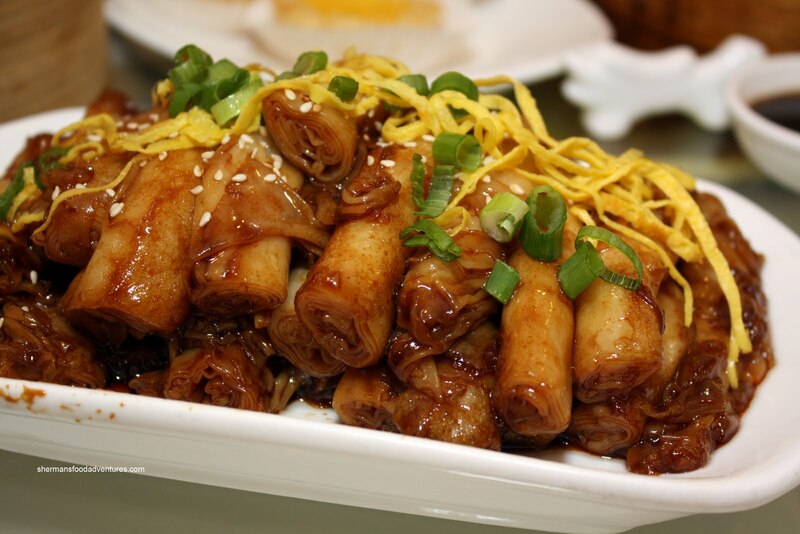 With that in mind, the Pan Fried Rice Noodle Rolls were just as good. Exhibiting the same qualities as the steamed version, it was soft while retaining some chewiness. I particularly liked how they prepared the dish with care - from the pan-fry all the way to its plating. Every roll was uniformly cooked with a nice dark soy colour. The way it was plated actually resulted in more noodles since it is not haphazardly strewn all over the plate. Now onto some offal! 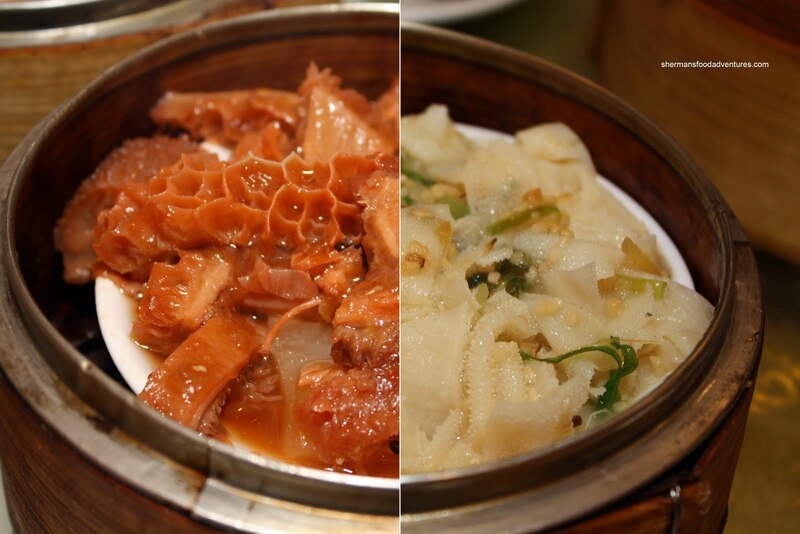 Actually, that is the best part of Dim Sum in my opinion. Too bad not everyone shares that point of view. Thus, I do not always order it. Thankfully, Costanza is a fan and we decided to get both the Honeycomb Tripe and the Bible Tripe. Other than being a bit salty, the honeycomb tripe was tender with a little chew left. I liked the use of daikon underneath to soak up the flavour. The bible tripe was on the softer side and there was a goopy glob in the middle with bits and ends. Come Along? The sauce had too much starch; thus becoming too thick. This too was a bit on the saltier side. All of this was making me thirsty! I really liked the Deep Fried Taro Dumplings. Much like the other fried items, it was not oily at all. In fact, there was no evidence of an oil slick on the bottom of the plate. This is a clear indication that it wasn't oily to begin with or they somehow soaked up the oil before serving it. 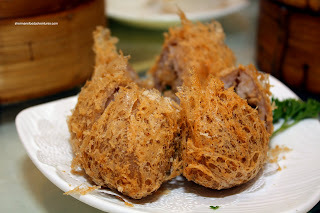 They were crispy on the outside while the inside yielded soft taro with a flavourful ground pork filling. Whenever we get together with Costanza and fa mily, we seem to order too much food. Well, this was no exception this time as it just kept going and going. 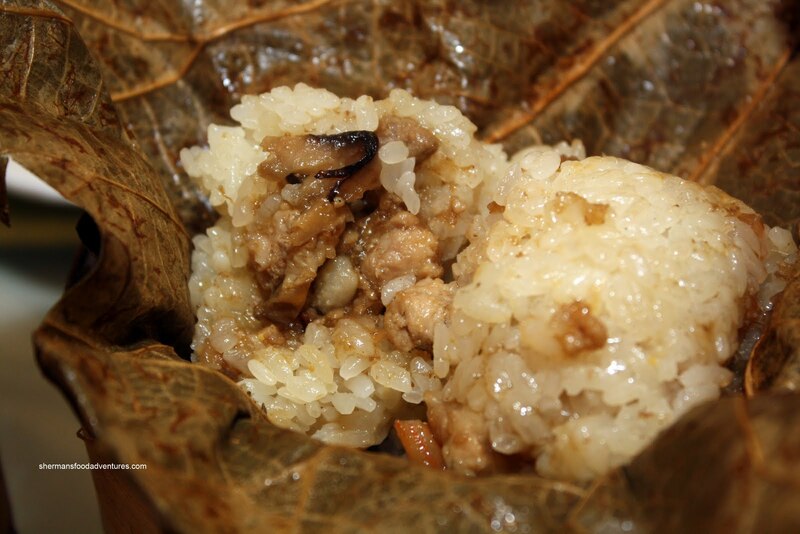 Up next was the Mini Loh Mei Gai (or Sticky Rice wrapped in lotus leaves). Unlike recent mushy ones I've had lately, this one was soft; yet only soft enough. There was a slight bite to the rice still. Moreover, there was no shortage of ground pork and shiitake mushroom filling. Mixed together, there was moisture, flavour and some chewiness left in the sticky rice. Very well done. For dessert, we got what the kiddies always look forward to - the Egg Tarts! Right away, I have a bias towards the ones made with flaky pastry (which this one did) rather than a tart shell. Somehow, the hard tart shells spoiled the entire dessert for me since it is supposed to be silky smooth with a buttery flaky crust. Although these ones were not exactly served hot, they were still very good. I really wished that they had not brought these as our first dish (yes, I left it to the end of this post because it just seems right). Somehow, Chinese restaurants do not understand the concept of food expediting in correct order (well, the high-end ones know this...). I digress. 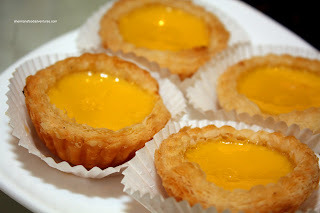 Anyways, the tarts were exactly how I like them and it was a fitting end to a surprisingly great Dim Sum meal (in lieu of the indifferent reviews of the place). Price-wise, I found it to be quite reasonable for the amount of food we got. As expected, service is very sparse due to the "mad house" otherwise known as Dim Sum. However, the service was courteous and responsive to our requests. As we left, the lineup was getting long, so it's best to arrive before 11:00am to avoid that. Not sure about dinner; but as for Dim Sum, I'll definitely "come again". I lost track... How many times did you, ahem, came??? OK, seriously now, what were the prices of the dishes? LOL... I'm not sure... The prices are around $3.50 - $4.50. Portions are large. THIS is a come-along ! Wow, thanks Sherman for reviewing this restaurant. I live close by as well, but never went to the restaurant as the pricing is on par with Top Cantonese Restaurant or Western Lake Restaurant nearby, but they have way better service. Anson, I would still think that Western Lake beats them all, but CA is pretty decent too. I've been to TC recently and it's not bad too but costs more.